Made in Frederick: McCutcheon’s Apple Products, Inc.
the key to their popular cider. McCutcheon's Apple Products, located right next to Carroll Creek, produces and sells all of their products from their factory in Frederick. McCutcheon's is a family-owned business that has been making their products in Frederick since 1938. The company sells a wide range of specialty fruit products, including apple cider, jelly, and butters. McCutcheon's currently has over 30 full time employees, some of who are third, fourth, and fifth generation members of the McCutcheon family. Our office had the opportunity to tour McCutcheon's factory and to meet with the President, Bob McCutcheon III. Bob answered a few questions about his business, products, and why he enjoys doing business here in Frederick. Apple Cider, Apple Butter Preserves, Jellies, Condiments, Hot Sauce, Teas, Olde Time Sodas and much more. What makes your product different?Everything is home-style, just like Grandma made. We get products that are the best tasting, highest quality, and made in Frederick. Frederick is a vibrant growing city situated in beautiful Downtown Frederick. It's a great place for us to live, work, and play. McCutcheon's facility is powered by 546 solar panels. You can view the daily output of the solar panels at McCutcheon's website. Apple cider production at McCutcheon's. McCutcheon's has a full retail shop that is open 6 days week and it offers all of the company's products. McCutcheon's products are also available to resellers. For more information and hours, visit McCutcheon's website. 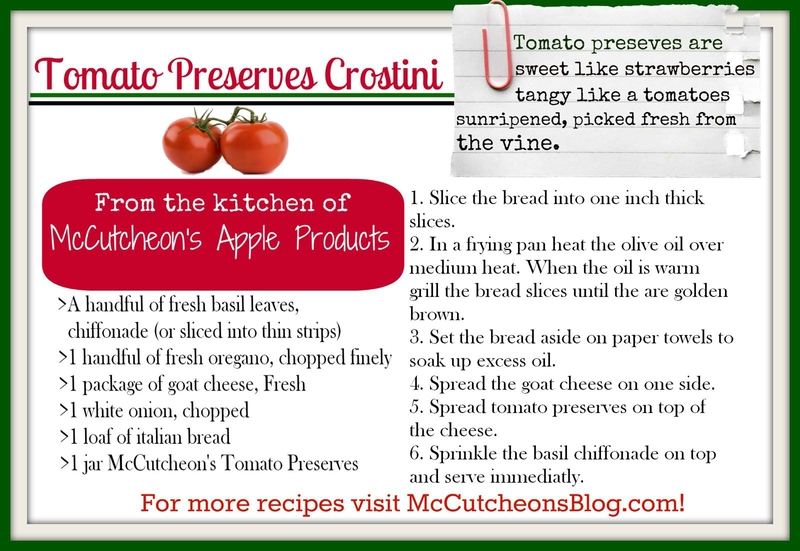 For more recipes using McCutcheon's Apple Products, visit their blog. If you or your business has a product that's made in The City of Frederick, contact us and let us know more about your business, product, and why Frederick is a great business location for you. This story was completed by our fall intern from Hood College, Nick Masucci.